Bring your class to explore Camp GuilRock for an unforgettable, affordable, and educational experience! Camp GuilRock offers many programming options to all school ages. Programs are aligned to meet the North Carolina Science Curriculum standards. Programming is flexible and varies based on individual needs. Call us to schedule your adventure today! 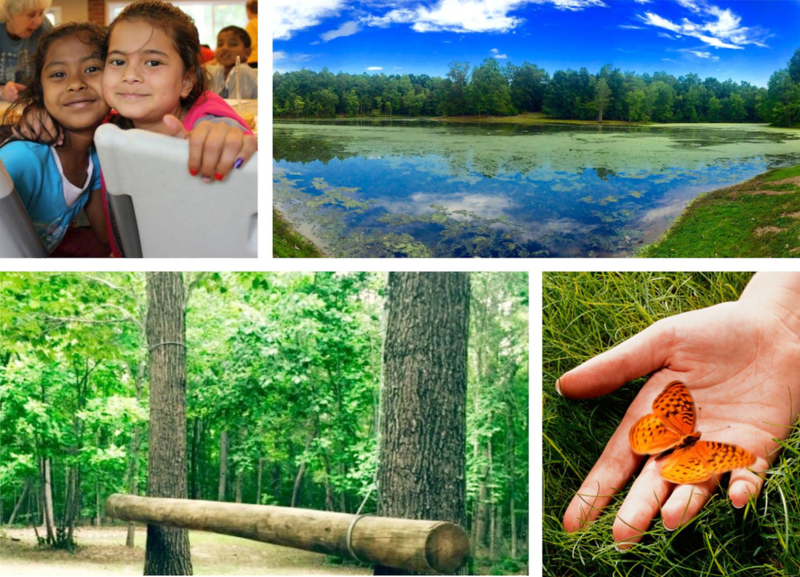 Pond & River Exploration: Come explore the rich habitats that our pond and river have to offer! Students can study pond life from the banks, or hike the Haw River Trail and wade in the river. Fishing is an option, as well as netting. Both bodies of water offer insight into the diversity of North Carolina’s wildlife. Fossil Digging: Spend some time digging through the minerals from the phosphate mine in Aurora, NC. Among these minerals you will find fossils that are millions of years old; sharks teeth, marine animal bones, and invertebrates are common finds! Through this unique opportunity, students will leave Camp GuilRock with any, and all, fossils they collect. Hiking trails and use of the picnic areas are included in all program costs. All school personnel and parent chaperones are free of charge. You may book multiple programs in one field trip, flexible programming is available to meet the needs of your group. Call or email with any questions you may have regarding our field trip availability. Non-classroom school groups are encouraged to utilize our facilities as well.